Solution: Determine the velocity of the center of gravity G of the connecting rod at the instant shown. Piston P is moving upward with a velocity of 300 in/s. 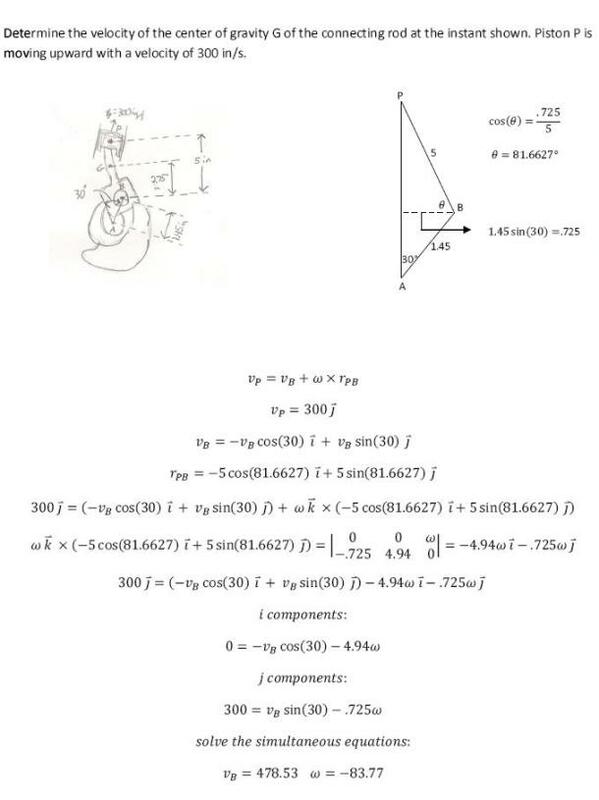 Determine the velocity of the center of gravity G of the connecting rod at the instant shown. Piston P is moving upward with a velocity of 300 in/s.